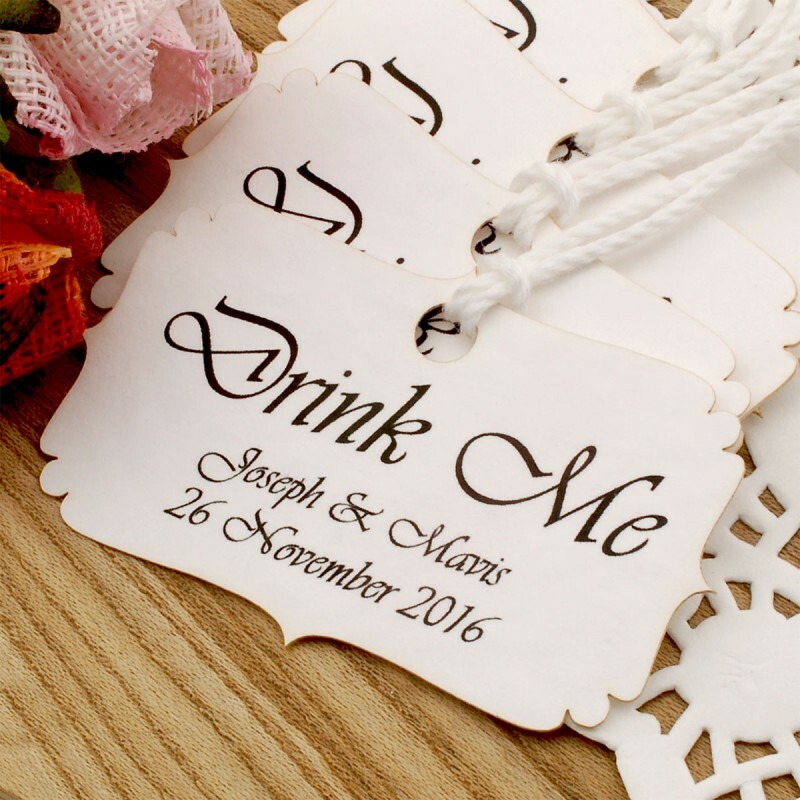 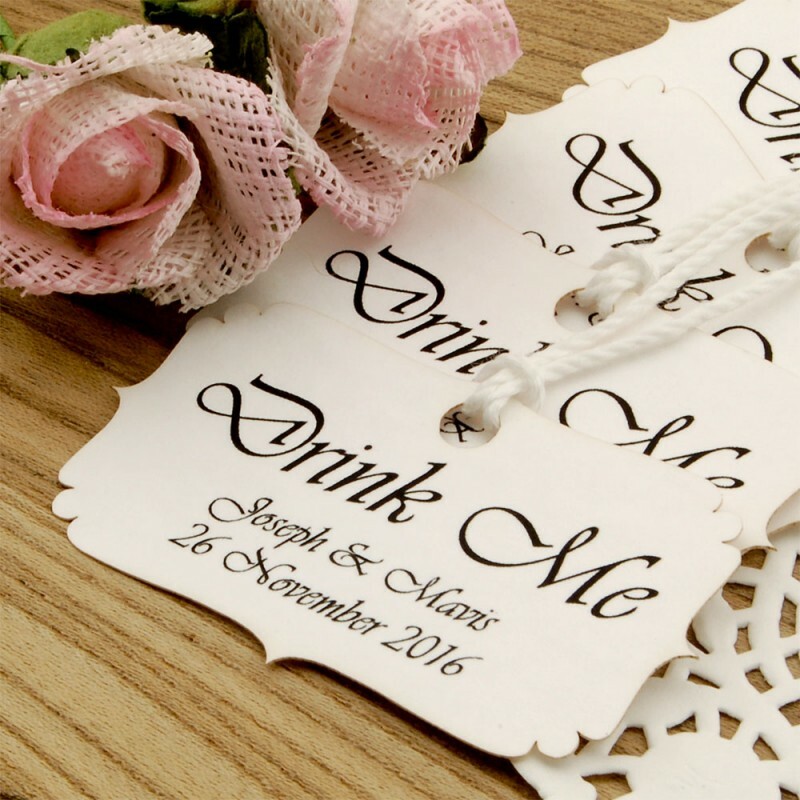 You will receive personalized Drink Me white gift tags in the lot sizes of 60 pieces and onwards. 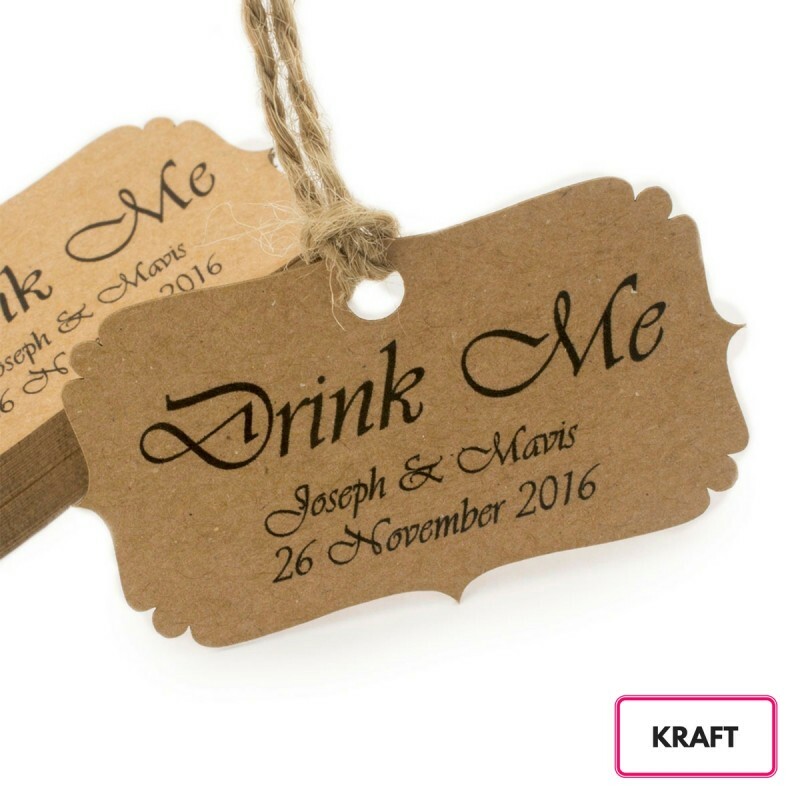 The gift tags come with untied, thread measuring around 20 cm (7.87 inches) in length. The tags measure approximately 50 mm x 29 mm (5 cm x 2.9 cm, 2"x 1.1") at the widest points, are made using 250 GSM (170 lbs) premium cards, and the back of the tag is blank. 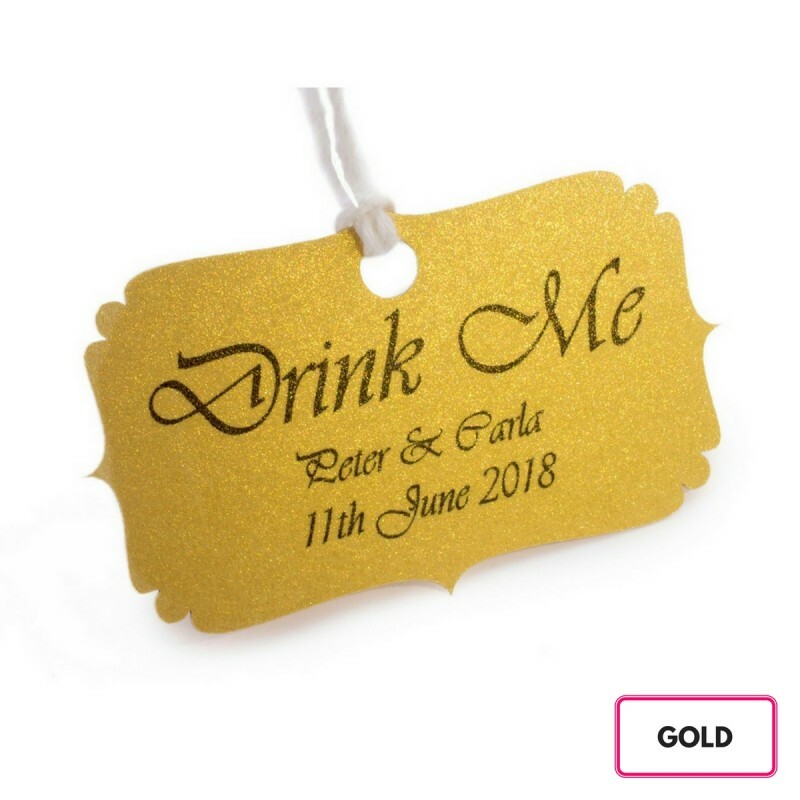 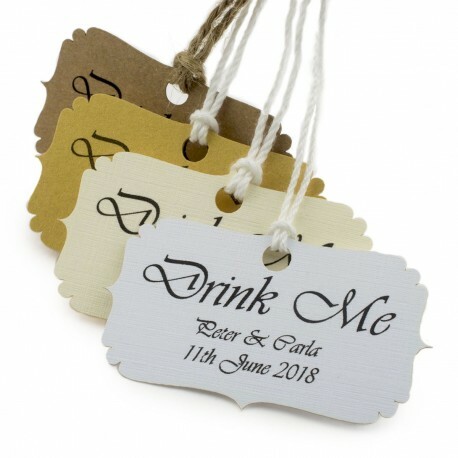 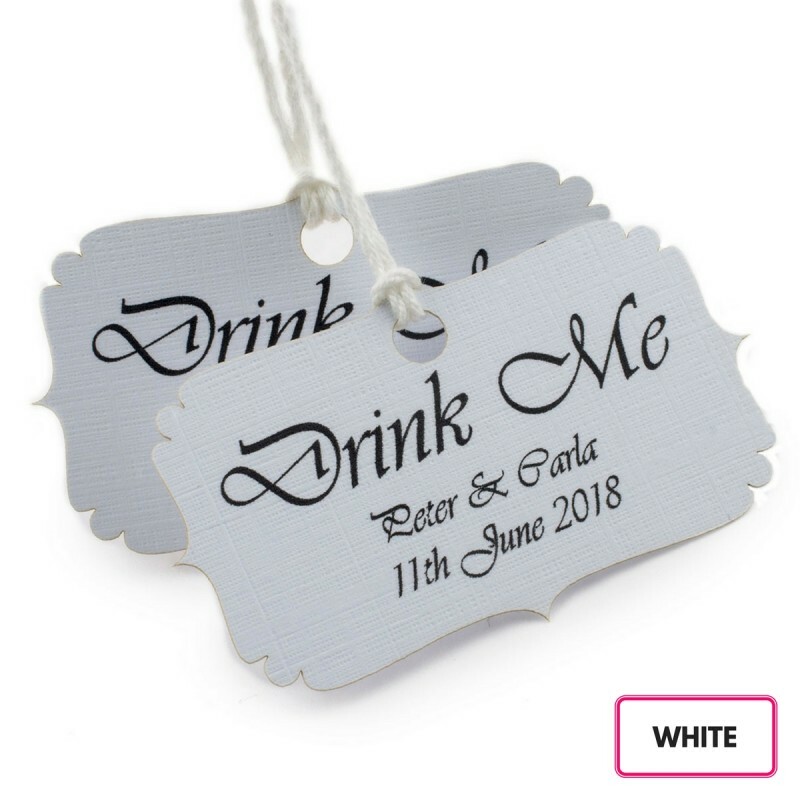 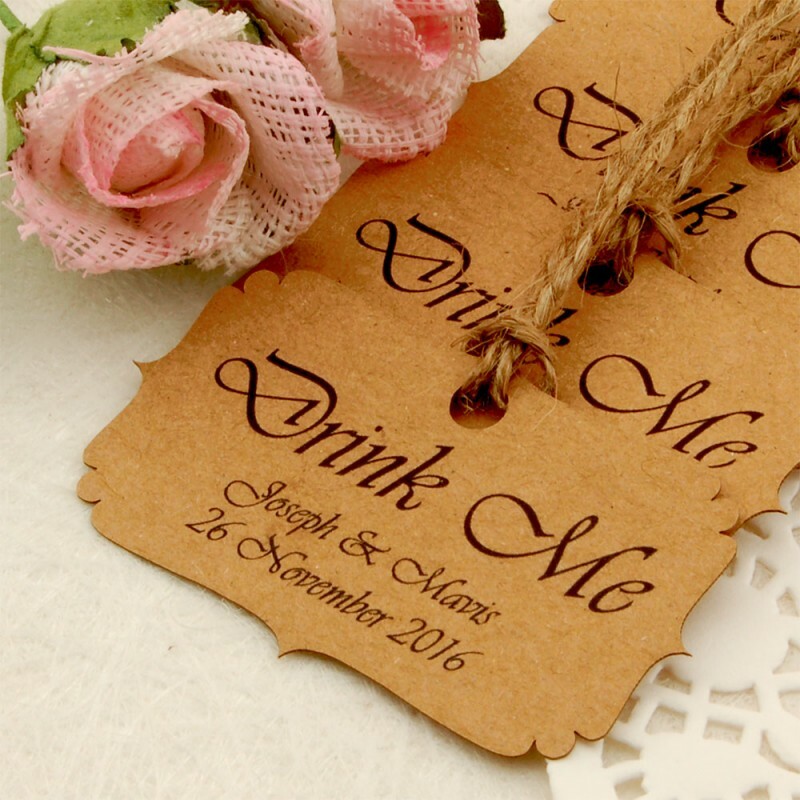 An excellent favor tag for the bottle and can drink at parties and weddings. 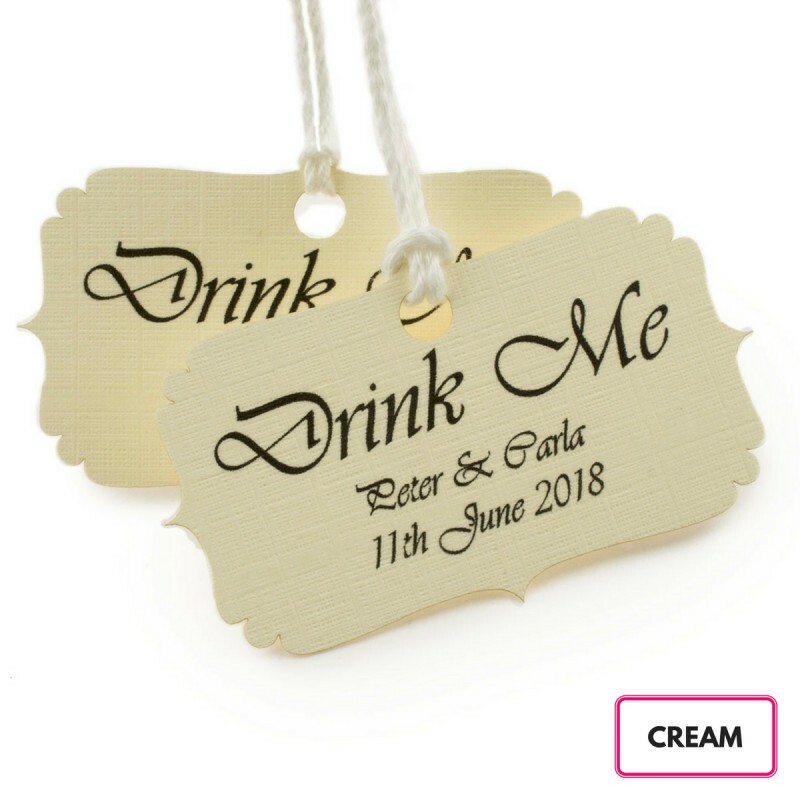 Please choose your desired quantity through the drop down list, and send us the names via email upon your purchase and we shall do the rest.